May 5 (Sunday) – DIY and Crafting with Craft Easy (details to be announced), SM Megamall – Mega Fashion Hall. More details here: bit.ly/2Us5loM. May 4 (Saturday) – DIY and Crafting with Craft Easy (details to be announced), SM Megamall – Mega Fashion Hall. More details here: bit.ly/2Us5loM. May 1 (Wednesday) – SM Stationery Artfest Launch, SM Megamall – Mega Fashion Hall, 10:00 am to 10:00 pm. More details here: bit.ly/2Us5loM. March 27 (Wednesday) – DIY Timbler Stickers and Decals + Paint Your Hanging Pocket Organizer, #RealMomsGetItDone Tang Launch, Glorietta 2 Activity Center. March 17 (Sunday) – Art in the Park, Jaime Velasquez Park, Salcedo Village, Makati, 10:00 am to 10:00 pm. We’ll be selling paintings, illustrations and some googly merch. More details here. March 16 (Saturday) – Sticker Con Manila, 10:00 am, JYC Halls A and B of Bayanihan Center in Pasig. We’ll be selling Googly Gooeysmerch at booths 39 to 40. More details here. 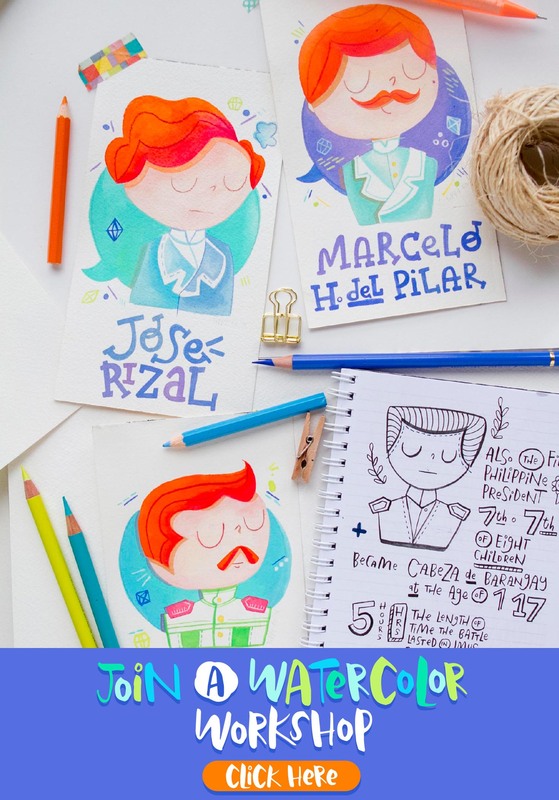 February 16 (Saturday) – Watercolor Doodles Workshop with Faber-Castell, 1:00-3:00pm, Ayala Malls Cloverleaf. Free workshop. Slots are on a first come, first serve basis. More details here. February 15 (Friday) – Cookie Painting Workshop, Ayala Malls South Park. Details to be announced. December 14 (Friday) – Cadbury #Generositree Launch: Design Your Christmas Stocking + Popup Cards, SM Mall of Asia Music Hall. November 22 (Thursday) – Eden Cheese #GiveGoodness Campaign Launch (DIY Stickers and Leche Flan Box Decorating Booth), One Canvas Makati. November 18 (Sunday) – Digitizing Workshop, 1:00-5:00pm, Fully Booked BGC. Few slots left. Register here: bit.ly/GGworkshops. November 11 (Sunday) – Pillow Making and Decorating Workshop with Cheez Whiz, Gateway Mall – LRT Entrance. November 10 (Saturday) – Pillow Making and Decorating Workshop with Cheez Whiz, Trinoma. November 4 (Sunday) – Pillow Making and Decorating Workshop with Cheez Whiz, Greenhills Promenade. October 31 (Wednesday) – Dia De Muertos: An S Maison Halloween Adventure (Halloween Crafting and Cookie Painting Workshop), 2:00-6:00pm, S Maison at Conrad – Manila Main Atrium. One (1) kid is entitled to join for a minimum single or accumulated receipt purchase of Php 3,000 from any S Maison establishment. Present your receipt and get your event passport from October 22 – 31, 2018 at S Maison Concierge. More details here: bit.ly/2PPpJtM. October 7 (Sunday) – Pillow Making and Decorating Workshop with Cheez Whiz, Grand Venice Mall, BGC. October 6 (Saturday) – Pillow Making and Decorating Workshop with Cheez Whiz, Uptown Mall, BGC. September 22 (Saturday) – Watercolor Workshop with St. Luke’s Medical Center Global City (Oncology Department). September 15 (Saturday) – Pillow Making and Decorating Workshop with Cheez Whiz, 1:00pm, Lane O, Bonifacio Highstreet, BGC. September 8 (Saturday) – Cricut Workshop with The Happy Station, 1:00-5:00pm, Fully Booked BGC. Register here: bit.ly/GooglyCraftWorkshop. August 26 (Sunday) -Brush Lettering and Paper Bag Monster Craft Workshops with the Kids of SOS Children’s Village Cebu. July 15 (Sunday) – Googly Gooeys Digitizing Workshop, 1:00-5:00pm, Fully Booked BGC. Register here. May 30 (Wednesday) – Ladies, Wine & Design Manila Conversation: Family Vs Career, 7:00pm, Estate Wine, Makati. Limited slots only. Details on how to register here bit.ly/LWDManilaMay30. May 11 (Friday) – Talk: Turning Your Art Into Business with Eschaper, 7:00pm, 3/F A. Venue Mall. Free admission but the slots are limited so be sure to register here: https://goo.gl/forms/YslDR1tltDUPTI5n1. April 28-29 (Saturday-Sunday) – Free Summer Scrapbooking Workshops, 1:00-2:30pm, Glorietta Activity Center Palm Drive. More details at bit.ly/CanonScrapbook. April 15 (Sunday) – SM Stationery Art Fest: Doodling Fun with Faber-Castell, 2:45-3:45pm, SM Makati. More details at bit.ly/2JHmB0w. April 1 (Sunday) – Easter Crafts and Treats Workshop with S Maison Conrad, 2-6pm, S Maison Conrad Main Atrium. More details at bit.ly/Easter2018Workshop. March 22 (Thursday) – Flatlay 101 Workshop +Arts & Crafts Workshop with Canon Printers, 3-5pm, Canon Image Square SM Aura. No preregistration needed. First 20 participants only. More details at bit.ly/CanonFlatlay. 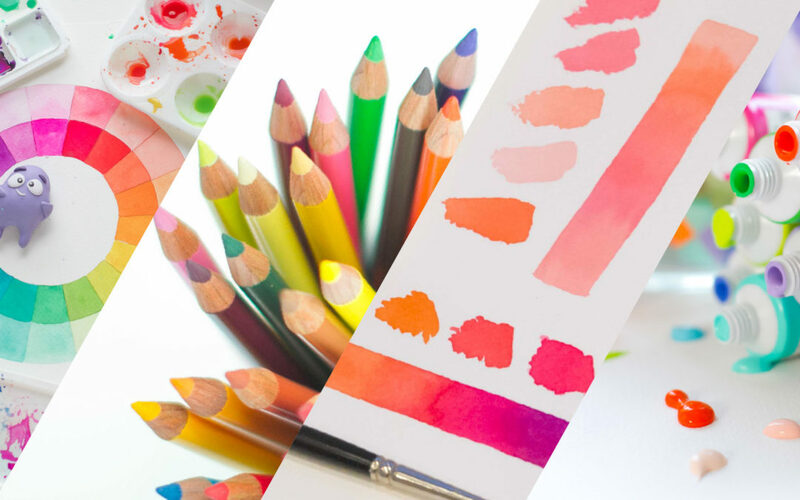 March 15 (Thursday) – Exclusive Watercolor and Art Workshop with H&M Kids. More details at bit.ly/HMKidsSpring. February 22 (Thursday) – Create Handmade Presents & Turn Your Passion into a Business, Canon Image Square SM Aura. No preregistration needed. First 20 participants only. More details at bit.ly/CanonValentines. February 8 (Thursday) – Free Design Talks + Arts & Crafts Session with Canon Printers, 6-9pm, Holiday Inn Makati: Yakan, Abaca & Jusi Ballrooms. Registration is at the venue. We can accommodate as many as 150 participants. More details at bit.ly/CanonBliss. February 3 (Saturday) – Toblerone Pop-up Booth Art Demo, February 3, 3-4pm in SM Mall of Asia. No online registration needed, no entrance fee. More details at bit.ly/GooglyToblerone. January 25 (Thursday) – Free Arts and Crafts Workshop with Canon Printers, 3-5pm, Canon Image Square SM Aura. No preregistration needed. First 30 participants only. More details at bit.ly/2v6qglh. January 7 (Sunday) – Jumpstart Your 2018 with a Free Craftherapy with Canon Printers, 4-6pm, Yoshinoya, SM Megamall. No preregistration needed. First 30 participants only. More details at bit.ly/CanonJan2018. November 12 (Sunday) – Digitizing Workshop, Fully Booked BGC, 1-5pm. Sign up at bit.ly/GGworkshops for future schedules. October 14 -11am-12nn Draw your Favorite Star Wars Characters at the Star Wars Reads Day in Fully Booked BGC. Get a slot for a minimum purchase of Php 400 worth of items from Fully Booked. Art materials from Faber-Castell Philippines may be borrowed at the venue. October 14 – 4-5pm Watercolor & Drawing Workshop with Faber-Castell Philippines at the SM Stationery Art Fest in SM Mall of Asia! Get a slot for a minimum purchase of Php 300 worth of items from Faber-Castell. Art materials may be borrowed at the venue. 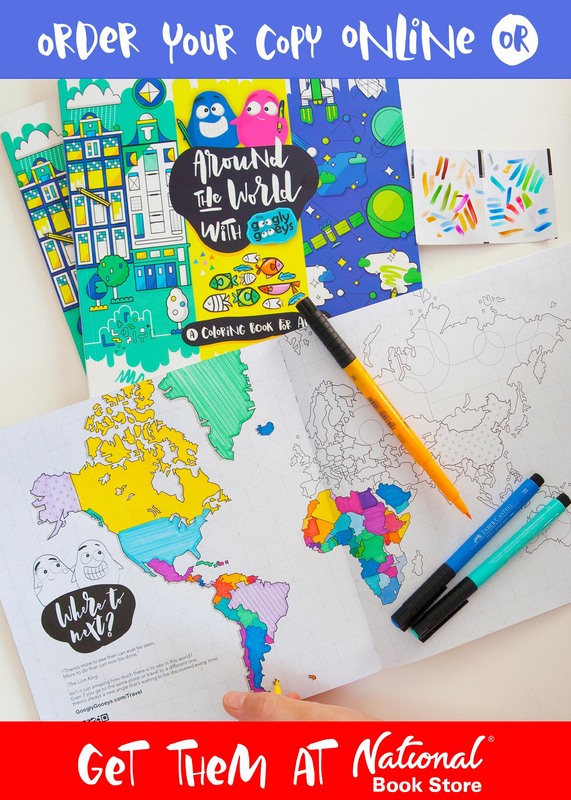 September 30 – Free DIY & Coloring Workshop at Cath Kidston in BGC. September 2 (Saturday) – Cartoon Drawing using Watercolour Pencils with Faber-Castell, SM Stationery Art Fest, SM Dasmarinas, Cavite, 3-4pm. Wait for the official mechanics on the SM Stationery Facebook Page. April 16 (Sunday) -Free Watercolour Pencil Workshop with Faber-Castell, Summer Art Buffet, Conrad Hotel, Mall of Asia, 3-5pm.